The Competitor Two-Tone timepiece offers men a classic, business-appropriate look and is the ultimate fans statement. Features a 23kt gold-plated bezel, stainless steel case and date function. 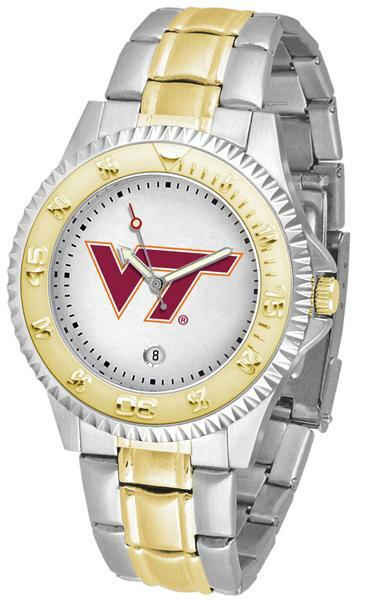 Secures to your wrist with a two-tone stainless steel band complete with safety clasp.